Part of the nervous system connected to the peripheral nervous system formed by the encephalon and the spinal cord; it controls and deciphers nerve information. Part of the cerebral trunk made up of nerve fibers; it serves as a bridge between the brain, the cerebellum and the spinal bulb, and aids breathing. 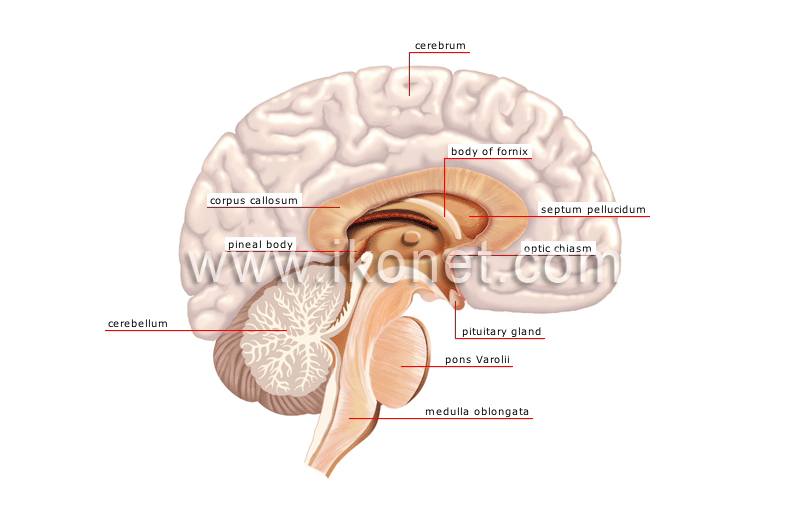 Part of the encephalon that mainly controls motor coordination, equilibrium, muscle tone and posture. Large part of the encephalon formed of two hemispheres; it contains the control center of the higher nerve functions (motor activities, language and others).